I KNEW when I said I would post EVERY day in October that I would most likely FAIL. I set myself up for failure really. 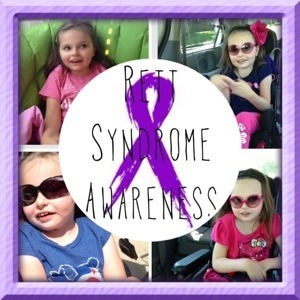 So I apologize and today instead of an awareness post full of facts about Rett Syndrome or Down Syndrome I post this picture. It was taken almost a year ago. In it Denise (of Geary Photography) captured beautifully, the struggle. The struggle that EVERY special needs family you know experiences from time to time. It might be months before they feel it, it might be daily they feel it or heck a minute might not pass before they feel it. But is is there. Always there. I love my kids with EVERY beat of my heart, with every breathe that my lungs take. I would be lost without them but in that same breath there is heartache of the Why me? Why my kids? Why is everything so hard? Can I do this for 20, 30, 50 more years? How can I not? What if I can’t? Who will? The struggle is in the sadness of seeing friends post their joys of little league football, dance competitions, new drivers licenses, marriages and other joyous momentous occasions. (or their perfect family photos because they can tell their kids to all sit still and look at the camera and they do (even if it takes threats or bribes lol.) It sometimes can be overwhelming. The tears flow and the what ifs get asked. I HATE when these days come. Unfortunately awareness month can bring them more than other months. Heck – all of the Down Syndrome posts bring on tears simply because I wish that Boston ONLY had Down Syndrome! The addition of the Autism and his Sensory Processing issues (along with other preemie “stuff’) makes it tough – I actually feel jealous of families that JUST have Down Syndrome and I realize that sounds HORRIBLE but it is true and it is part of the struggle. Yes, I feel blessed and heart is filled with joy in the little things, in the milestones my kiddos meet, in their perseverance and their strength – all of it. They are nothing short of AMAZING and inspire me daily. It is their love and those sweet smiles that DO get me through the days that I struggle. I thank GOD that our GOOD days far outweigh our bad ones these days. But I struggle. It’s hard. I guess this post is meant to encourage all of you special needs moms/dads – if nothing else so you do not feel alone. If you are not a special needs family – be a friend to someone who is. Because chances are they need you – more than you think, more than they let on. They might be struggling the very moment you are reading this and thinking of them. Reach out – let them know you care. Pray for them. Heck – if you really feel like helping drop them off dinner – or sit and have coffee with them – help them fold a load of laundry! You might laugh but sometimes – just being there, talking, laughing, folding…..its what matters most! Thank You!!! I am a mom of two very special guys… one with a brain injury from O2 deprivation, the other with Down Syndrome, and diagnosed at 14 with Autism. We have been doing this 25 years. I am terribly technologically challenged and not very savvy of such things as blogs and facebook posts etc. I have lived in the place you speak for 25 years. Thank you for daring to speak up and speak out. I am so grateful that I stumbled on this site. Thank you for the Love and the Pain expressed. Thank you, thank you, thank you.